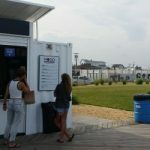 Ahead of the 2018 summer season, Asbury Park boardwalk redeveloper, Madison Marquette has announced a new addition to the local team and that all of its container pop up tenants will return. Project Director George Ladyman announced the hire of Jennifer Star, who will take on the role of senior leasing representative. 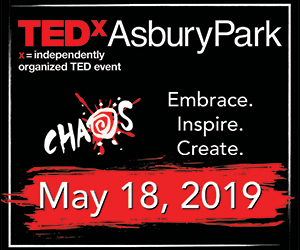 “As a Monmouth University graduate and New Jersey native, Jennifer’s dedication to retail real estate and familiarity with the market inspires her to bring the best in class to Asbury Park,” he said. 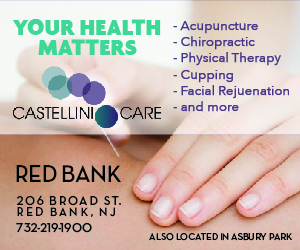 Star, who worked in finance and retail management before moving into real estate, was a founding member of the Sabre Real Estate New Jersey staff. Star worked with regional and national tenants. 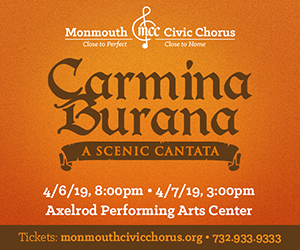 During her tenure with the company and her previous brokerage firm – RJ Brunelli, Star worked with national and regional brands, including Starbucks, Blink Fitness, Save-a-Lot, Pure Barre, European Wax Center, Dollar Tree, Rook Coffee, and Charley’s Subs. 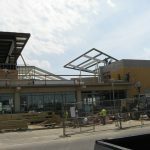 Headquartered in Washington DC, the 26-year-old real estate investment management company, developer, operator and service provider continues to move forward with its Fourth and Fifth Avenue pavilion redesign projects [shown below]; expected to be completed by mid summer and early fall, respectively. 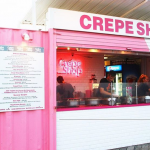 And as they ready for tourism season, spokeswoman Pasqualina DeBoer has confirmed that all of the container pop up purveyors will return this year. 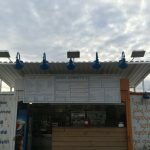 The container pop up ventures not only boast long standing seasonal vendors that date back to 2008, but those who have expanded their businesses along the AP Boardwalk, in Asbury Park, and to neighboring Jersey Shore communities. 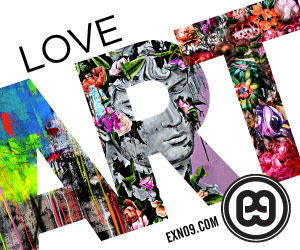 The list includes Ralph’s Famous Italian Ices, owned by Harry Antonopoulos and Jit Rexha, a pair of New York City firefighters who launched their Second Avenue pop up container venture back in 2008 [during a nascent stage of redevelopment along the boardwalk]. 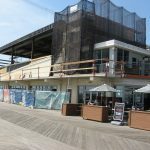 The following year, Kristina Bannon opened Pucker, located at Fourth Avenue entrance; and in 2010 Diane and Jason Heleotis, who initially opened their Mayfair Boardwalk Grille venture in a pavilion, moved to the Third Avenue container pop up. 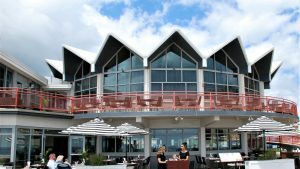 By 2011 a host of new pop up offerings began to spring up along the boardwalk. 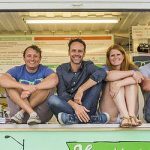 Antonopoulos and Rexha expanded – opening the Crepe Shop at Second Avenue. Bannon followed suit – expanding her offerings to include Tony’s Sausage, Dogs & Cheesesteaks, also at Second Avenue. And, Edward Catalano, who opened Eddie Confetti Ice Cream in a pavilion, moved into a Fourth Avenue pop up. In 2012, MOGO – the popular asian fusion taco pop up opened on First Avenue. 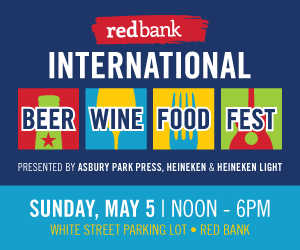 Owners Jason Devino and Sam Chung expanded the seasonal offering into a year round venture on Cookman Avenue the following year; and in 2017, they launched The Asbury Park Food Collective on Memorial Drive, a commercial kitchen and commissary for food truck owners and other foodpreneurs. 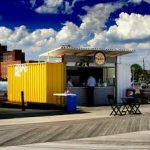 Another Asbury Park Boardwalk container pop up business expansion came form of Hoagitos, which opened on Third Avenue in 2013. 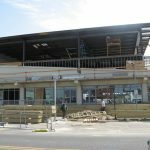 Owners Emma McGill Spagnuolo and Mark Spagnuolo, in 2016, launched a brick and mortar shop in Belmar Plaza. Scott Hamm and Gene Mignola of Shelter Home [704 Cookman Ave], who started out with their boardwalk Fun House and expanded to Cultivar.t. Tim McLoone’s 2017 Robinson Ale House transformation included updates to his Tim McLoone’s Supper Club. 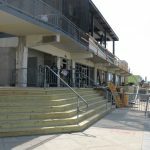 The Cetrulos, who also started during that early stage of boardwalk revitalization with Stella Marina, opened Cubacan in the First Avenue Pavilion in 2011. 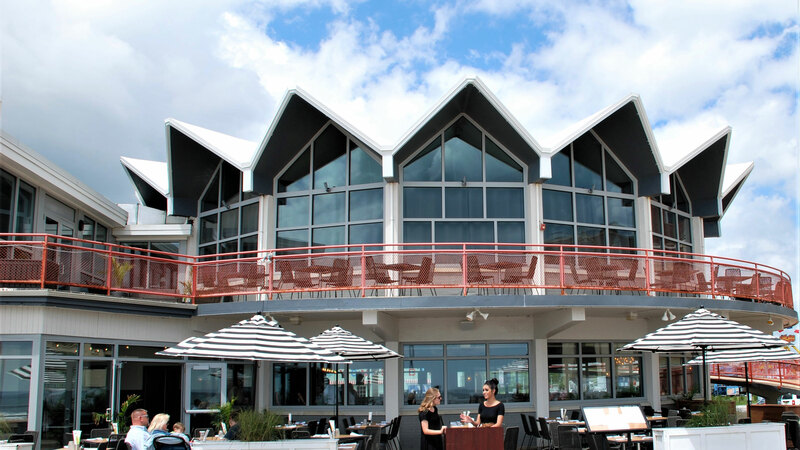 And then there is Marilyn Schlossbach, whose Langosta Lounge is a seamless blend to her Pop’s Garage, Lightly Salted, and Asbury Park Yacht Club ventures in the Second Avenue pavilion. 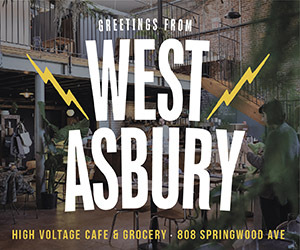 Sonia Jozajtis and Jason Thomson’s High Voltage cafe launched as a small pop up venture in the Fifth Avenue pavilion before taking root in the First Avenue pavilion. Last year, the pair followed up the expansion by launching a second location in Junction Hall, which also offers health conscious corner store wares. 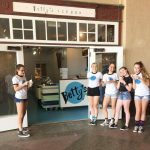 Betty’s Icebox, which started as cart in the Grand Arcade is now a firmly settled in as year-round venture in Convention Hall. And, Matt and Amy Bergman launched Big Spoon Little Spoon Naturals on a shoestring budget in response to son Lake’s [born in 2013] allergic reaction to commercial soap products. 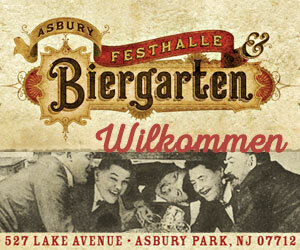 For more about the boardwalk offerings, visit apboardwalk.com.